Home / Archive by category "Horse Care"
Stretches and warm ups should be an important part of your athlete’s daily routine! Last week, we posted an article about horse leg care after a jump school. Today, we’re taking the time to discuss what you should be doing before your ride – stretches and warm ups to make sure that your horse is loose, supple, and ready to begin working. Any athlete knows that stretching prior to a workout is a good way to get your blood flowing, start to warm up your tendons and ligaments for more rigorous exercise, and to notice any stiff or sore muscles that may indicate a need to change or adjust your routine. The same goes for your horses, and if you add some simple stretches to your grooming and tacking up routine, you’ll be able to help your horse perform better, help keep him safe from tendon or ligament injuries as well as notice any stiffness or soreness that may require further attention. Many equestrians work “carrot stretches” into their grooming routine. It’s easy to get a horse to bend their neck to their side to follow a treat. We prefer doing several on each side of the horse – one by their shoulder, one at the girth, one by the hip, and have the horse hold the stretch for 10-15 seconds. One area of the horse that tends to get tight and block movement is the long muscle in front of their shoulder. You can stretch this muscle by lifting your horses’ hoof as if you were to pick it, and then bending their neck to the opposite side. At first, it might take an assistant to help you teach your horse, but once they understand how good the stretch feels, it will become easier to put them into this stretch. Once your carrot and shoulder stretches are done, leg stretches are next up. 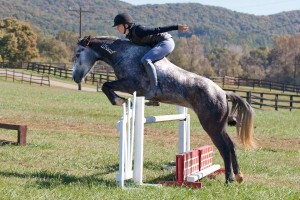 First, pick up the leg and stretch it out in front of your horse. It’s easy if you cradle the fetlock in one hand and hold the hoof in the other. Then, just lean back a little and stretch the entire leg straight out. Be careful not to lift the leg too high, you just want it to be slightly bigger than a normal, engaged step would be. Hold this for up to 15 seconds before slowly releasing and setting the hoof down, and then repeat on the other side. You can repeat a similar stretch with hind legs, and add a small circling of the leg to loosen the stifle, gaskin and hip joint. Not a big circle – just around a little bit – and be careful if your horse has any hind end issues. Be sure to stretch yourself out, too, with some basic leg, back and arm stretches before you begin your ride. 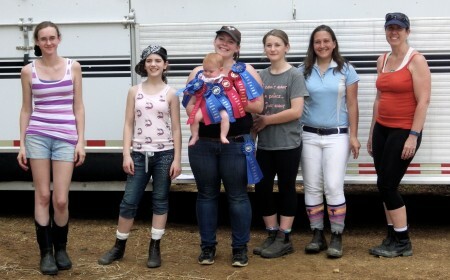 Ribbon holding #horseshowhack from Equiflexsleeve fans at Skip Ahead Dressage! We recently ran a contest asking our fans for their best #horseshowhacks, or smart tips and tricks to get through show days. Over here, we love using our Equiflexsleeves to save time over standing wraps – plus, they’re safer and give owners and riders peace of mind. Our fans had some great ideas, too! Thank you to everyone who submitted their tip, and we hope the post was helpful to many of you in the middle of show season. We’ve chosen our top eleven, and drew three random winners. 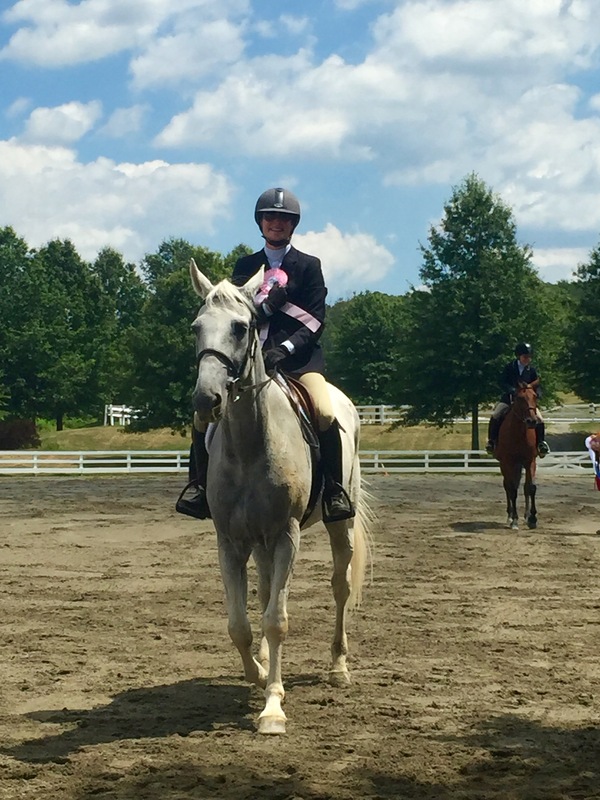 Read through and learn some tricks to help make this show season your best one yet! Eileen Keller: QuikBraid works way better than human hairspray or hair gel on your own flyaways, and to help tame your hairnet, but be careful not to try to brush it out! It will only come out after a shower. Leslie Ann Briggle: Hang a box fan inside a rope hay net to attach it to a stall! Susan Jansen Auten: Use waxed upholstery thread rather than yarn for braiding – it’s easier to match colors and braids are tighter and stay in place. Amber Sparks: Take a rubber band and run it through itself and your short barrel reins, then over your saddle horn. Reins won’t get tight, you won’t have to lean over while you’re waiting, and the rubber band will break if it needs to. It will help keep your horses from trying to graze while waiting! Tammy Taylor: Stick Velcro to your trailer or barn tack room to organize and store your sport boots. Works great and prevents you from digging through bags of show gear to find the boots you need! Great tip for eventers! Kenzie Critterden: Use cut pieces of pool noodles for boot trees in tall boots! Jamie DeConcini: Bring a pocket hose for water – no need to wrestle dirty, bulky hoses and they store easily in a trailer! While they aren’t as durable as rubber hoses, they should stand up to horse show use. Keli Onaleaki: Corn starch or flour works great to get whites whiter before entering the ring. Erin Swann: Shave white socks! If they’re clipped, they are much easier to keep clean. Baby powder helps whiten them up before showing as well. Taylor Cronk: Pack a spray bottle with diluted bleach to spray your stalls down before making up stalls for the night. Horse shows are a popular place for infectious diseases to spread between horses. Kristin Covington: Use ketchup on gray or white tails to remove stains! Let it sit for ten minutes before washing it out – it works great! Three WINNERS were chosen at random from the above. Congratulations to Kenzie Critterden, Taylor Cronk and Amber Sparks!!! Please send an email to info@flexsleeve.com for instructions on claiming your prize! Many of our fans also suggested having bailing twine, zip ties, duct tape, electrical tape and large diaper pins on hand. The twine, tape and zip ties can help you fix anything, and the pins are great for broken zipper pulls or attaching your numbers. EXTRAS OF EVERYTHING will come in handy for yourself and probably others on the show grounds – extra stirrup leathers, extra reins, extra double end snaps. We don’t think it’s possible to have too many double end snaps! Baby wipes, too. 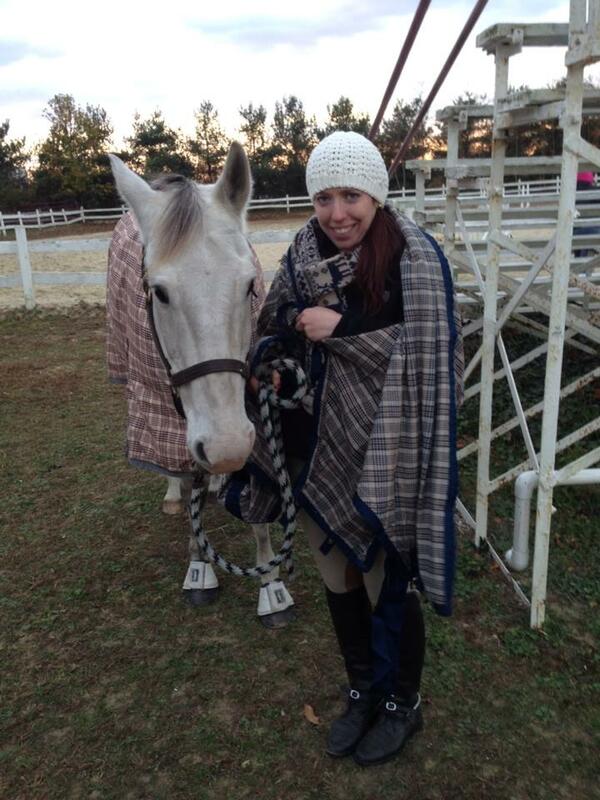 They work great everything, from boots to horse faces right before entering the ring! As so many of you reminded us, showing doesn’t have to be high pressure, and should be a good time for you, your horse, and your stablemates regardless of placings. Cassie Sprenger put it well: “Count the positives at the end of the day and learn from the mistakes”. Taking care of your horse’s legs is important every day, but it’s particularly important to have a good equine leg support routine to follow after jumping. 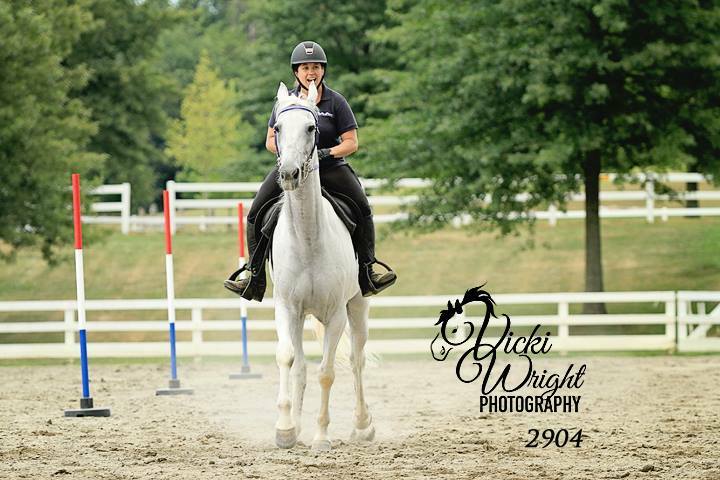 Your horse works hard to get you over those fences and nail those distances, and the best way to ensure he remains sound to continue that hard work is to pay attention to his whole body, and in particular, his legs. Make it a part of your every day grooming routine to run your hands down your horse’s legs and notice any changes – heat, swelling, and puffiness can be a sign that something isn’t right. Otherwise, if all is normal, continue on your grooming and tacking routine, and have a great ride. It’s good to begin your post-ride care before you’re out of the saddle. Just like a good warmup is important to loosen up the horse’s muscles, a good cool down is essential to feeling how your horse is going to recover. While walking the last ten minutes of your ride, try to notice how your horse feels. Is he tighter than when he started? Are his footfalls even? Is he tired and struggling, or does he have a good amount of energy left? You want to make sure your horse isn’t working too hard in his schooling sessions, because overworking a horse can leave him more susceptible to fatigue injuries. If all feels right to you, untack and groom your horse as you would normally. 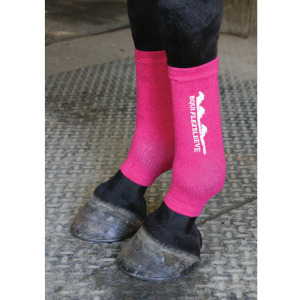 Be sure to pick your horse’s feet, and again, feel his legs for any abnormalities. Cold hosing, or icing legs after a jump workout can help tighten up the legs and cool down any heat left over from working hard. After icing or hosing, apply an alcohol based linimint to help alleviate soreness and promote circulation to your horse’s lower legs. Way better than standing wraps! Finally, spend the next two hours wrestling with pillow wraps and standing bandages, only to find that your wrap is uneven and you really should start again – just kidding! 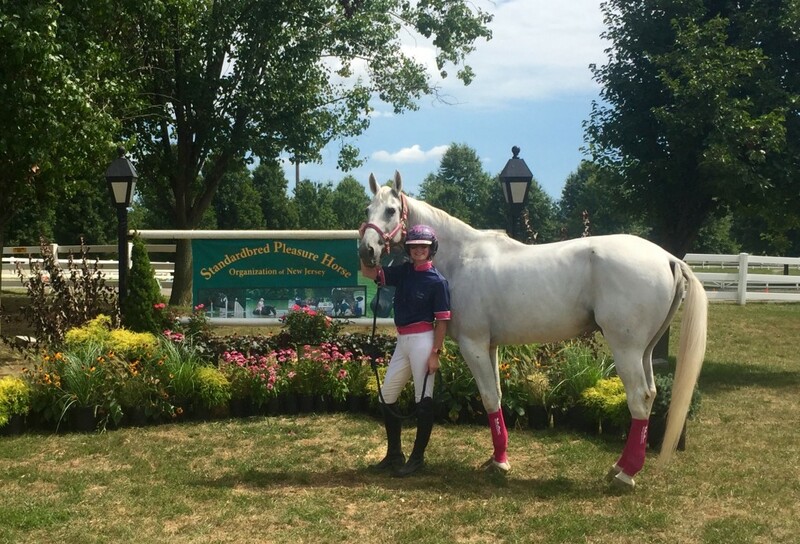 Make your post-ride routine more efficient, quicker, and safer with a set of Equiflexsleeves – the revolutionary new replacement for cumbersome and frustrating standing wraps! Just slide them on over the hoof and set them on the leg. 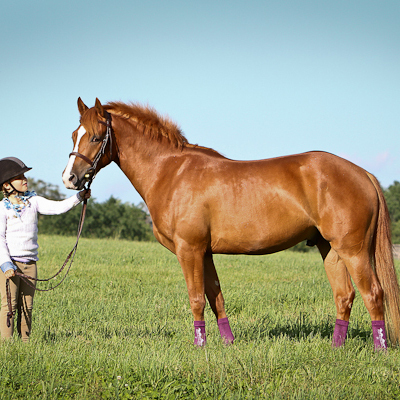 You don’t have to worry about leaving them on too long – unlike traditional standing wraps which immobilize the fetlock joint, and trap heat, Equiflexsleeves allow for normal movement, they dissipate heat, and they allow the leg to breathe. Way more comfortable for your horse, and way more peace of mind for you!